In a case closely watched by the title insurance and real estate settlement services industry, the United States Supreme Court has agreed to hear a class action which will decide whether consumers can sue under the Real Estate Settlement Practices Act (RESPA) over a title insurance referral arrangement that allegedly violated RESPA’s anti-kickback provisions. The case’s outcome could shield title insurers, banks and other lenders from litigation under RESPA and a wide range of federal and state laws. If First American wins this case, we could see title insurance companies in Mass. taking a much more active role in the operations of their favorite and most profitable agents. The case is Edwards v. First American Title Co. For more coverage of the case, read the SCOTUS Blog summary here. Class action attorneys file hundreds of cases each year on behalf of borrowers alleging violations of RESPA, which prohibits “any fee, kickback or thing of value,” in exchange for a business referral. RESPA also forbids that a “portion, split, or percentage of any charge made or received for the rendering of a real estate settlement service” be paid for services that are not actually rendered to the customer. If a violation of the statute is proven, a court can award a plaintiff treble damages, or triple the amount, for any charge paid. In a lawsuit filed in 2007, Denise Edwards claimed her title insurer, Tower City Title Agency LLC of Highland Heights, Ohio, entered into a “captive insurance agreement” with First American Title that was illegal under RESPA. The lawsuit said that because First American paid $2 million for a 17.5% minority interest in Tower City in 1998, it received the majority of the local agent’s referral business which violated RESPA. The suit sought class action status on behalf of all consumers who purchased title insurance through a title agency that was subject to an exclusive referral agreement with First American, and damages of up to $150 million. The Supreme Court will review the constitutional issue of whether consumers must prove they were actually injured under RESPA and other truth in lending laws. A favorable ruling for First American could mean a significant dent in costly class action suits under RESPA and TILA. Oral argument is expected in the Fall term, in October. 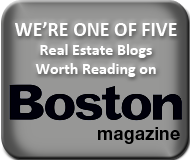 Massachusetts Impact: Cozier Agent Relationships? Beyond curtailing or expanding consumers’ ability to bring all sorts of claims under RESPA and Truth in Lending (TILA), a favorable result for First American could enable title companies to get into much cozier relationships with attorney agents in Massachusetts. Massachusetts is a so-called attorney agency state, where attorneys issue title insurance policies. Title insurance companies in Massachusetts cannot (yet) legally invest in or own law firms (although this rule is being challenged nationally). So we don’t have a “captive insurance agreements” or the like. Certainly, some attorney agents prefer to give their business to one or two particular title insurance companies, but to my knowledge, there’s no formal agreement among insurers and agents here in Mass. If First American wins this case, we could see title insurance companies in Mass. considering captive insurance agreements and taking a much more active role in the operations of their favorite and most profitable agents. We will see….